The clocks change twice each year. In March they ‘spring forward’ an hour, and in October they ‘fall back’ an hour. This year it’s this Sunday they fall back, at 2am in the morning (or just before you go to sleep on Saturday night). 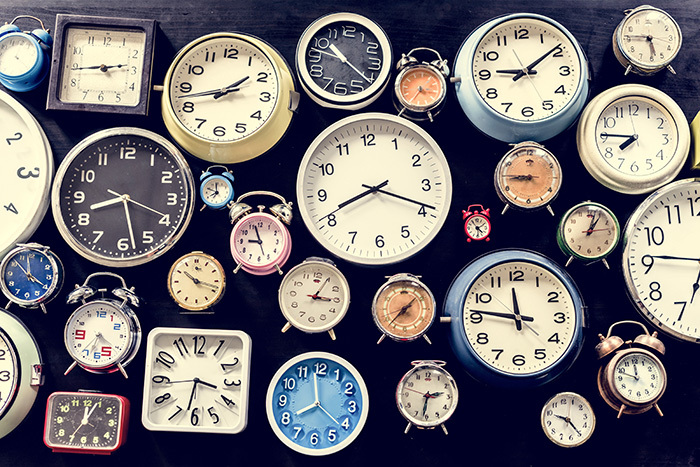 The clocks on many smartphones and laptops these days will update automatically, but many other timekeepers, such as ordinary clocks, and digital clocks (including those in the car and on the oven), will need to be changed manually. The clocks ‘spring forward’ every year in March, to mark the start of British Summer Time. The tradition began more than 100 years ago, when parliament passed the Summer Time Act in 1916. It all started in 1907 with a campaign by builder William Willett, who wanted to stop people wasting valuable hours of sunlight in the summer months, as well as to save fuel during the war. The first nation to adopt the scheme was Germany, and then the UK soon followed. However, while Daylight Savings Time is recognized in most places in Europe, North America and Australasia, many places in Africa and Asia don’t take part.